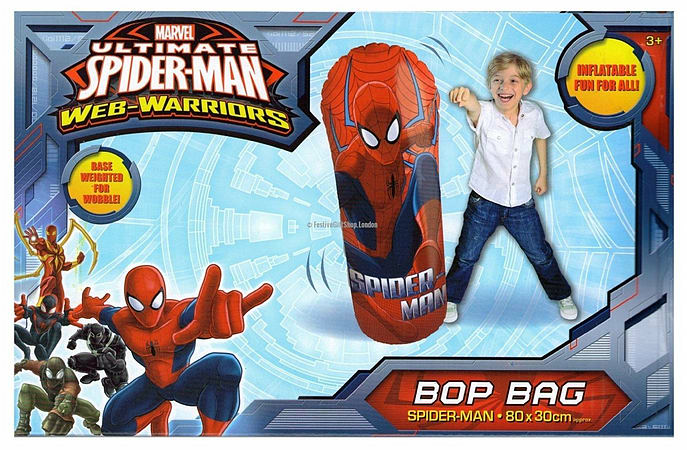 Official Marvel Ultimate Spiderman merchandise that is better than a pillow fight! Made from strong, durable vinyl, with a weighted base, makes this an ideal punch bag for that after school adrenaline rush! Easy to deflate - then simply fold and store away until the next time.